OK, this sounds cool: a new hands-on art exhibit for kids introduces them to architecture by letting them design and build their own structure. My kids and I plan to check this out on Sunday — and I’ll post a full article about it on Monday — but for now, here are the details in case you want to check it out sooner. 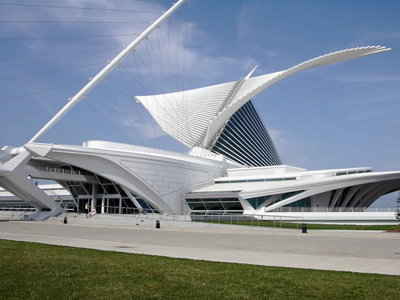 The latest Kohl&rsquo;s Art Generation exhibit is called “Just the WRIGHT Size: Designing and Building Small Houses” and it&rsquo;s at the Milwaukee Art Museum starting Saturday, March 12. Kids are exposed to Wright&rsquo;s architecture, see how architects still use his ideas today and are able to build their own little houses. The Kohl&rsquo;s Art Generation Open Studio is free with admission and available on a drop-in basis during regular museum hours. The Kohl&rsquo;s Art Generation program, now in its third year, is made possible by a $2.7 million gift from the Kohl’s Cares&reg; cause merchandise program, which sells special merchandise and donates 100 percent of the net profit to benefit children’s health and education initiatives nationwide. The Kohl&rsquo;s Art Generation program provides art education and opportunities for creative expression at a time when visual and performing art resources at schools are stretched.